Narratively Speaking – Life Happens. We're just the storytellers. Life happens. We’re just the storytellers. Welcome to Narratively Speaking, the podcast that explores the power of story in all its forms, it’s role in society and how it helps to shape the ideas we think we believe in. Hosted by Harv, the podcast explores the thesis that the stories we hear and tell are what shapes our beliefs about the world we live in — whether they are presented as fiction, history or the daily news. We spend a lot of our lives sharing, consuming and otherwise engaging in story. But if you tell your school teacher you want to write stories when you grow up, she’ll most likely sneer and tell you to pick a real job. 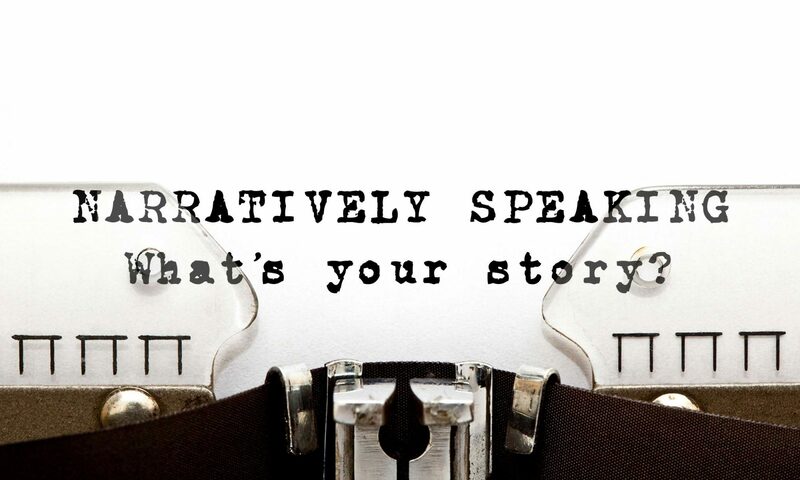 Narratively speaking aims to elevate the status of story in our culture by highlighting the important part it plays in the structure of society. A love affair with story. I’m Harv, and I have been a growing advocate of story’s power for many years. From my interest in writing at a very young age, to my YouTube channel “Popcorn Lobotomy”, story has always played a powerful role in my life. I started Narratively Speaking as an outlet to explore the idea that story is not only an important part of our lives, but THE MOST important. And it should be valued as such. April 15, 2019 6:30 am What's the Story with Mindfulness? The Narratively Speaking Podcast broadcasts from Footscray, Melbourne, Australia, putting out episodes every Monday at 6:30am in a cycle of 6-weeks-on-2-weeks-off. If you’d like to get in touch, hit us up on social media! We’d love to hear from you!